No wonder boxing superstar Floyd Mayweather employs so much security staff. Yesterday evening in Atlanta, a mystery gunman opened fire on Mayweather’s “Money Team” motorcade, one of the shots hitting a Mayweather bodyguard in the leg and hospitalising the man. According to reports, police strongly believe the shooting was not a random event, Mayweather’s entourage instead being the intended target. Mayweather himself, who was in one of the three vehicles at the time of the attack, was unharmed. Police are now searching for the so far elusive gunman; his motives unknown (but it is of course known how Mayweather, very much a controversial figure, has attracted a number of enemies and/or people who wish him ill). “Money” Mayweather himself has yet to comment on this series of events. Police say they have no obvious suspect or suspects at this time. Mayweather always travels whilst accompanied by security and bodyguards and this event shows us exactly why this is. Almost always surrounded by something akin to presidential security, Mayweather is one of the most recognised figures in American life today. We will likely find out more on this shooting if and when Atlanta police make an arrest or arrests. Mayweather, unbeaten at 50-0 and a dead-cert for The Hall of Fame, spoke at the weekend of his plans to fight in the Octagon, “if the money is right.”Mayweather is sure to be somewhat shaken by this event. 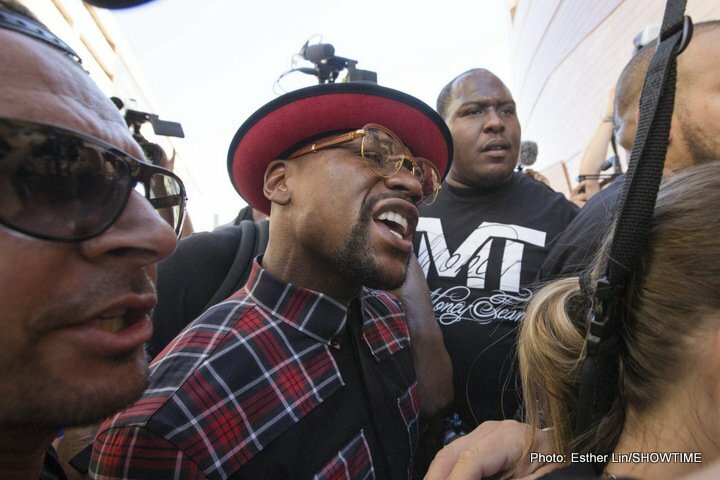 Love him or loathe him, no fan really wants to see any real harm come to Mayweather, surely. As everyone knows, the gun laws in America are the subject of ongoing controversy.